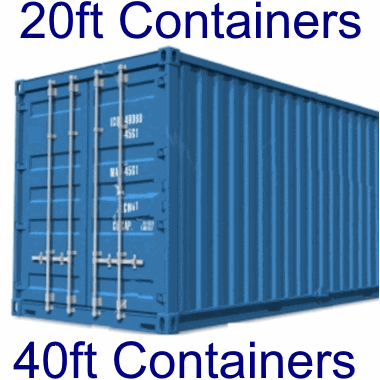 We have a selection of 40ft containers which measure 7ft8 x 7ft8 x 40ft with a capacity of 320 sq ft. This size container is much sought after and we have increased capacity over the years to ensure availability as long as we can. These storage containers are kept at our secure compound in Swindon, Wiltshire and access is available 7 days a week for no extra charge. Forklift + drivers, pallet trucks etc all available. We have plenty of space and access for large vehicles and we have all the loading and unloading facilities you could wish for. 40ft shipping container storage in our secure Swindon facility costs £65 per week and we can help with collections and deliveries of items to go into such storage units. We offer a variety of storage solutions for business customers. From small locked storage units with full-width doors and double-decker design for storing furniture plus smaller items to custom made archive storage units kitted out for storing archive boxes right through to large containers if you need much more space. You get the flexibility of knowing you can access your storage 7 days a week completely free with no hidden charges. You are the only key holder so you know there can be no unauthorised access to any sensitive business materials or documents. These storage units are available at Swindon, Trowbridge & Bridgwater. 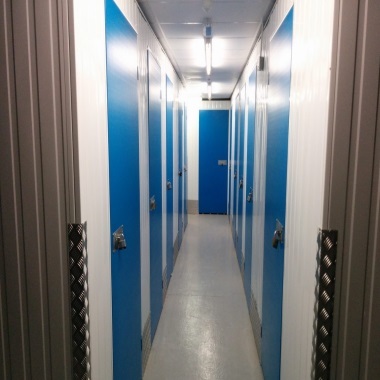 Many businesses use our custom made archive storage units which are available at any of our self-storage locations. These are specifically made for storing archive containers with shelving and allow easy access to the contents. Capable of storing 112 standard archive cartons, 419 x 318 x 267mm. You have access to your archives 7 days a week if required and all archive storage is available at ground floor level for ease of access. These storage units are available at Swindon, Trowbridge & Bridgwater.